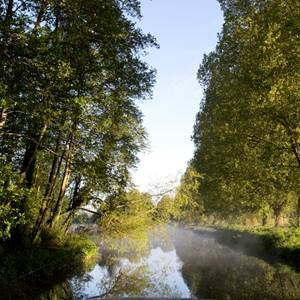 Explore the scenic sights of this Surrey landscape. Winkworth Arboretum was formed in 1937 after Dr Fox had a vision for the area next to his farmhouse in the Thorncombe Valley. He began work on transforming a scrub woodland into an area of spectacular beauty, the 130 acre woodland is now home to some of the most spectacular shrubs and trees. There is no better time to visit the arboretum than in autumn as all the stunning trees display their weird and wonderful colours, just as Dr Fox had planned all those years ago. 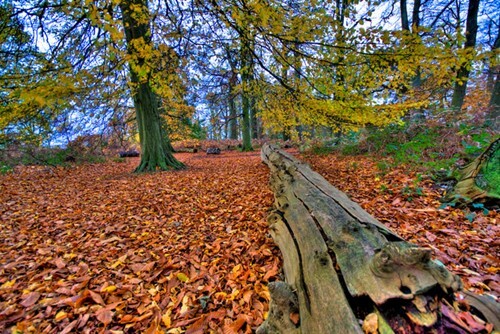 For more campsites and holiday parks or lodges near Winkworth Arboretum click here. 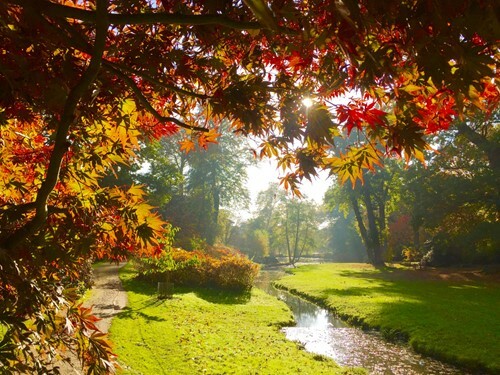 Embark on an adventure around the grounds of a 17th Century mansion this autumn. 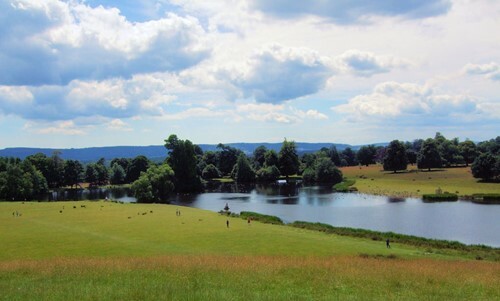 Petworth Park’s landscape was designed by famous English Landscaper; Lancelot Brown in the 1750’s. The park is home to some of the oldest trees in the UK, there is no better time of year to see the autumnal colours that these trees show. Within the 700 acres of the park, there are vast herds of deer that call the landscape home, as the autumn months approach there is a chance you may witness the younger males challenging with the older bucks in a battle for dominance. 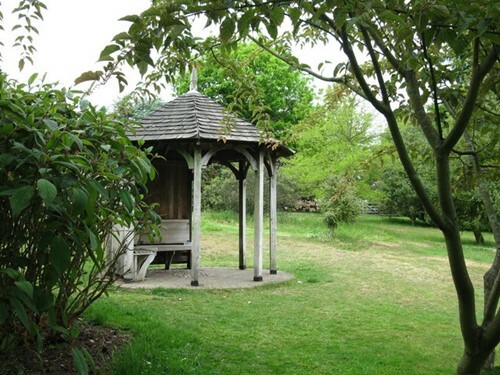 For more campsites and holiday parks or lodges near Petworth Park Walk click here. Discover one of the many valleys of Snowdon this autumn. Nant Gwynant valley is home to an array of both natural beauty and a large amount of wildlife. The walk includes a mixture of terrain, from gravel paths to steep inclines, this is all made worth it as you take in the spectacular views of Lake Gwynant. 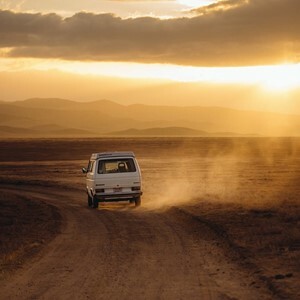 The landscape is ridden with areas of beauty including woodlands, waterfalls and mining ruins. Be sure to check out this peaceful area of Wales if you’re in or around Snowdon this autumn. 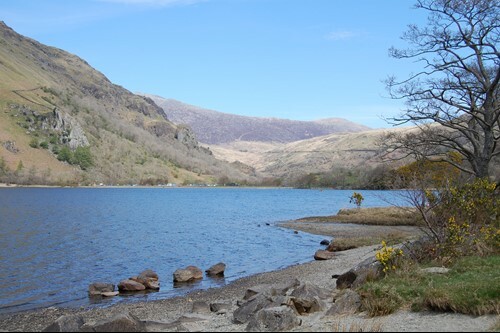 For more campsites and holiday parks or lodges near Nant Gwynant click here. Enjoy the views of the beautiful South Downs countryside this autumn. 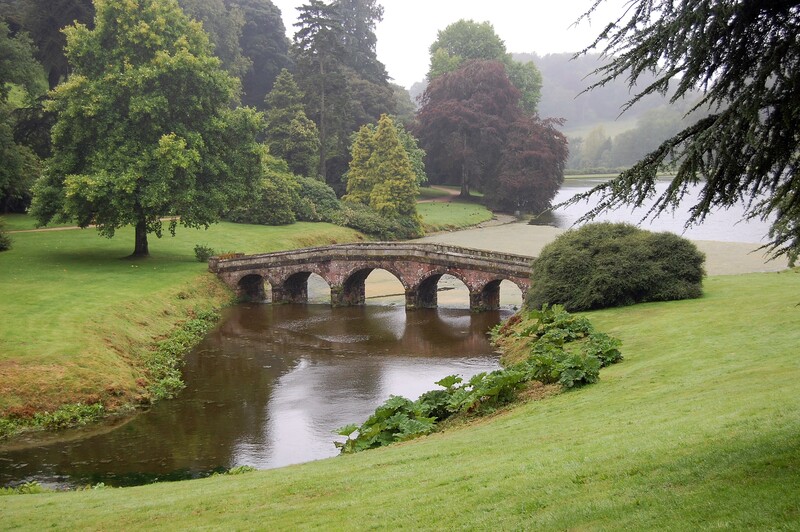 Begin your wander through the vast parkland that is home to the famous battle of Cheriton Walk, an encounter that took place during the Civil War in 1644. 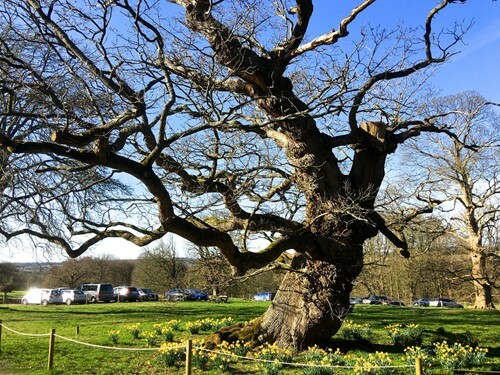 This spectacular location boasts an array of history alongside its Ancient Tree Trail that will be showcasing their eccentric colours in the coming months. A vast amount of wildlife can be found here including deer and barbastelle bats which will venture out in the evening on the search for food. If you are looking for the full range of autumn colour, be sure to visit Hinton Ampner. For more campsites and holiday parks or lodges near Hinton Ampner click here. Take in the natural beauty of Holywell this autumn. 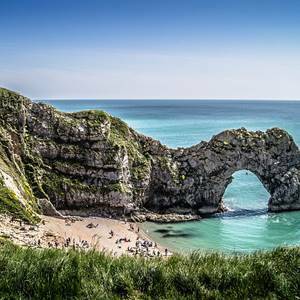 One of the backdrops for the Bafta winning TV series Poldark and it is clear to see why, a place of remarkable beauty showcasing it’s magnificent cliffs and beaches that are enjoyable all year round. Holywell is also home to a number of Seals, if you visit in the autumn months you are likely to get to witness a number of small seal pups that you can enjoy from a safe location. 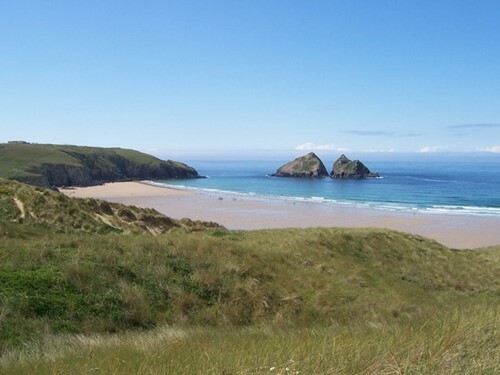 There is also something for the little ones as the dunes around Holywell Bay are homes to hundreds of small beetles and insects, see what you can find this autumn! For more campsites and holiday parks or lodges near Holywell Walk click here. This stunning walk around Emmetts Garden and Chartwell is a thing of beauty. A former home of Winston Churchill you will be sure to come across some interesting landmarks along the way. The grounds are covered in exotic trees and shrubs which really come into colour in autumn, you may smell the sweet toffee scent of the Katsura Toffa Trees whilst strolling around. Where to stay: Olbury Hill Camping and Caravanning Club Site - 6 miles from Emmets Garden. For more campsites and holiday parks or lodges near Emmets Garden click here. Situated within the Stourhead Estate is King Alfred’s Tower, a landmark that was placed where King Alfred the Great once assembled his troops all those years ago in 878. Surrounding this great landmark are many natural woodland tracks which make the walk suitable for those of all ages. You are sure to see the beautiful sights of the vibrant Japanese Maple Trees as they prepare to shed their leaves for winter. Fir a mid-walk pit stop be sure to stop off at the visitors café to try their autumn menu featuring a number of warm homemade seasonal dishes. Where to stay: Longleat Club Site - 6 miles from Stourhead. For more campsites and holiday parks or lodges near Stourhead click here. 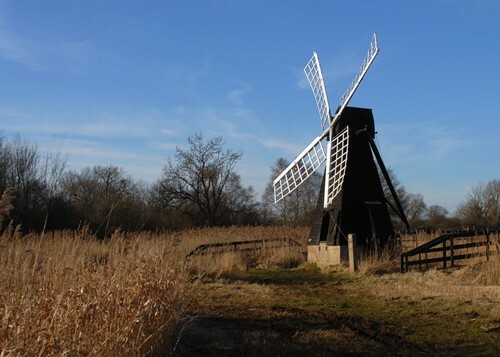 You are sure to witness some spectacular autumn colours walking around the Wicken reserve in the coming months, along with the iconic Wicken Fen Wind Pump. The Dig for Victory campaign transformed this land into farming land as per the War Offices request during the Second World War. Since then, countless individuals have been set the task of restoring the land to its natural beauty. Every visit here now helps Wicken Fen get back to its former glory, whilst caring for the plants and wildlife. Where to stay: Cambridge Cherry Hinton Club Site - 10 miles from Wicken Fen. For more campsites and holiday parks or lodges near Wicken Fen click here. In and around Dartmoor this autumn? This Teign Gorge Walk is not to be missed, possibly the most picturesque walk in all of Dartmoor thanks to its off the beaten track path. The route will also allow you to see the famous Castle Drogo, one that historians claim to be the last castle built in England with it opening around 1930. 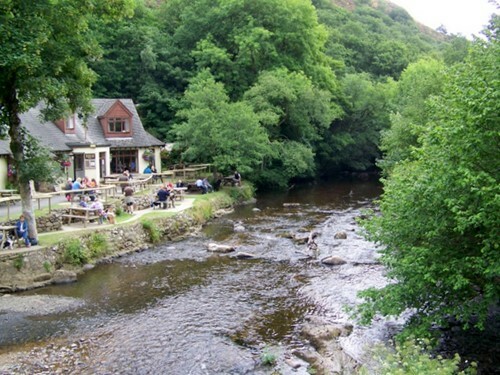 Fingle Bridge, constructed in the 13th century is a popular spot for families. Why not roll back the years and take part in a game of Poohsticks over the River Teign this autumn? Where to stay: Woodland Springs Touring Park - 2 miles from Castle Drogo Teign Gorge Walk. For more campsites and holiday parks or lodges near Castle Drogo, Teign Gorge Walk click here. See if you can spot the famous Red Squirrels as they collect their food in preparation for winter on your walk around Aira Force this autumn. Aira Force is a place of natural beauty with a vast array of rare wildlife accompanied with spectacular waterfalls that are sure to amaze. 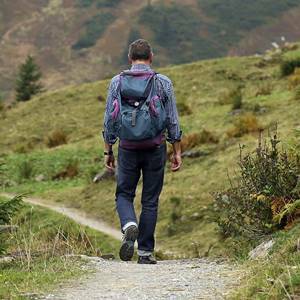 A range of walks that are suitable for veteran walkers to those looking for a leisurely stroll. Aira Force and Ullswater will not disappoint. Where to stay: Troutbeck Head Caravan Club Site - 4 miles from Aira Force and Ullswater. 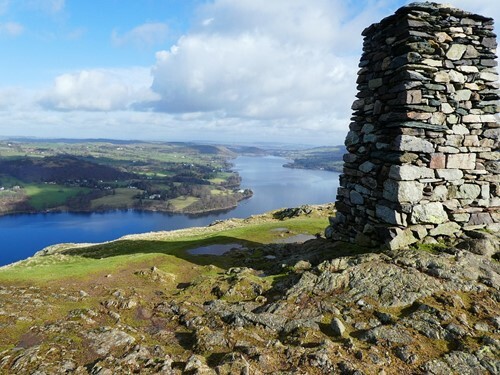 For more campsites and holiday parks or lodges near Aira Force and Ullswater click here. If you’re a keen bird watcher or just want to take in some spectacular views of wildlife in action, take a walk around Blakeney Point this autumn. The autumn months will see the arrival of the Dark Brent Geese from Siberia as they take the opportunity to graze on the marshes and reed beds. This sudden arrival of birds made it a popular spot for shooting for Victorians all those years ago. It’s An ideal walk for families with children of all ages as they take in the fantastic display of wildlife on show. Where to stay: Incleboro Fields Club Site - 11 miles from Blakeney National Nature Reserve. 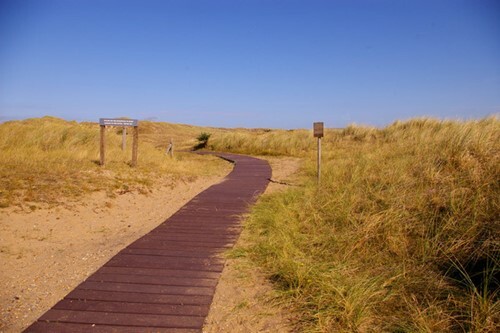 For more campsites and holiday parks or lodges near Blakeney National Nature Reserve click here. An area that is scattered with ancient trees, whether it’s the thousand-year-old oak trees or the ever-growing lime tree. Make sure you keep an eye out for the inhabitants of these longstanding trees including wild birds, insects and fungi. A great location to take the kids and allows them to search for autumn berries whilst taking a step back in time and witnessing some of the oldest woodlands in Europe. Where to stay: Conkers Camping and Caravanning Club Site - 11 miles from Calke Park Walk. For more campsites and holiday parks or lodges near Calke Park Walk click here. As autumn approaches, Blickling Estate are preparing for their harvest, why not take in the remarkable views of the autumn colour whilst plucking some berries from the surrounding bushes? With a wide range of trees, the colours are sure to amaze as you walk around this lovely 950-acre woodland, maintained to perfection. Be sure to keep your eyes peeled as Barn Owls seek their prey throughout the estate, a real sight to behold. Where to stay: West Runton Camping and Caravanning Club Site - 8 miles from Blickling Estate Walk. 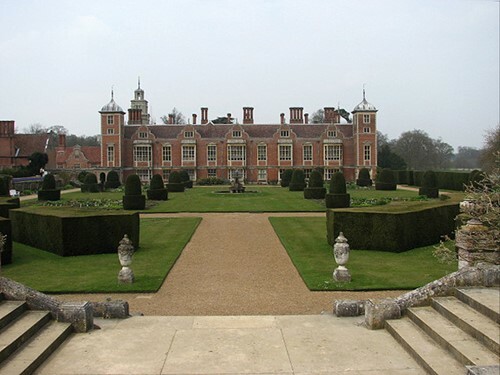 For more campsites and holiday parks or lodges near Blickling Estate Walk click here. Enjoy the yellow and gold colours of the beech and oak trees at Speke Hall this autumn as they approach their most colourful months. You will catch glimpses of the Wirral and North Wales from the highest point, whilst also taking in the breath-taking views of the wildlife as they seek food before winter commences. If you’ve got time, head down to the Speke Garston Coastal Reserve for some spectacular sights across the River Mersey. 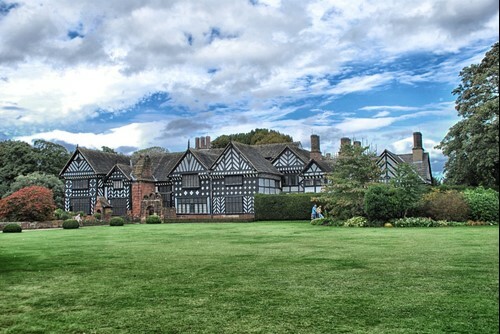 Where to stay: Chester Fairoaks Club Site - 6 miles from Speke Hall. For more campsites and holiday parks or lodges near Speke Hall click here. This area of fantastic beauty within the Yorkshire Dales offers a choice of walks, whether it be a casual stroll along the River Wharf or adventuring to the hill tops at Buckden Pike. The children can explore the rivers and shallow pools whilst you enjoy the views until the autumn sun fades. If you’re visiting Yorkshire this summer, be sure to pack your walking boots. Where to stay: Wharfedale Club Site - 1 mile from Upper Wharfedale. For more campsites and holiday parks or lodges near Upper Wharfedale click here. 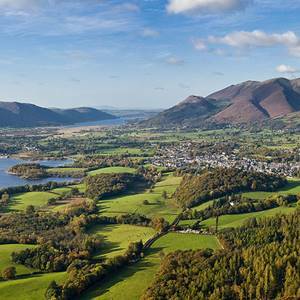 Go camping in Britain’s National Parks!